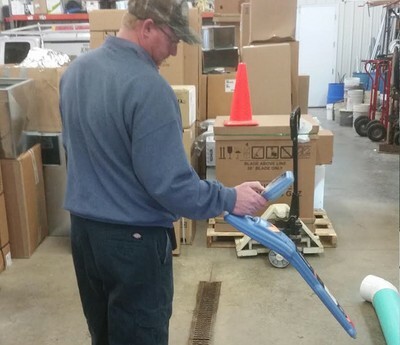 C&S Solutions is the place to call for locator equipment. 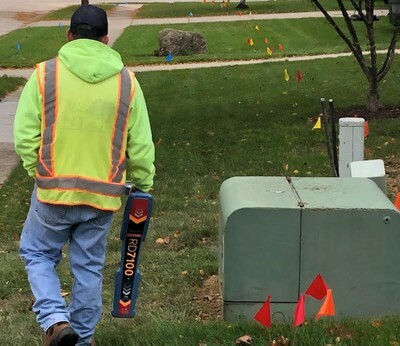 Not only do we provide each and every one of our customers with high-tech, non-invasive locator equipment, we provide our clients with an unsurpassed level of customer service. 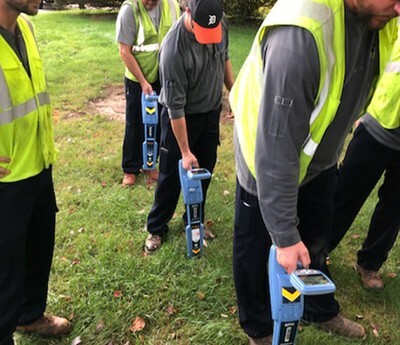 When you purchase field survey equipment, phone line locators, or any of our other locator equipment, our staff will provide comprehensive training for your staff. 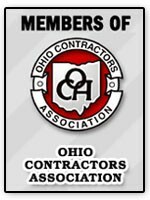 C&S Solutions offers free, on-site training with every purchase. 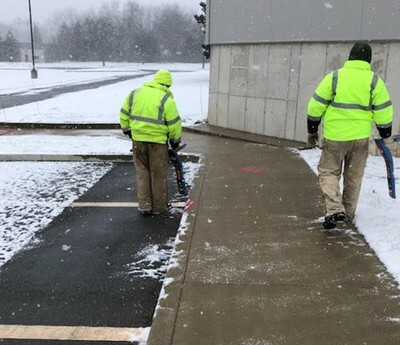 Our experienced team will not leave your work site or location until your technicians are fully trained and feel comfortable using the equipment. 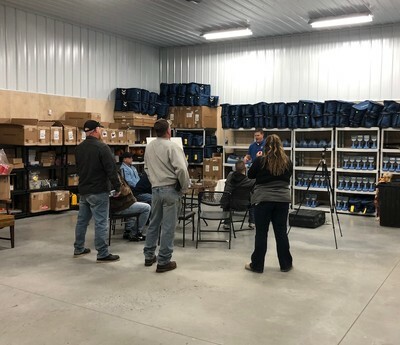 We will also provide your staff with additional, free, on-site training once a year to make sure you are completely satisfied with the equipment. 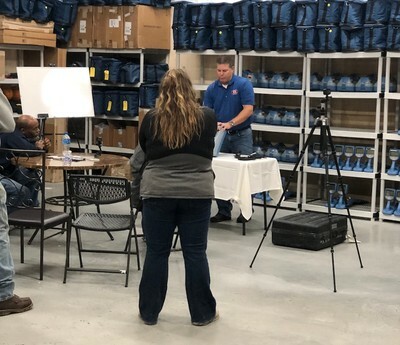 In addition, we offer free on-site demonstrations of products as well as free customer support 24 hours a day, seven days a week, and free loaners when your equipment is being serviced. 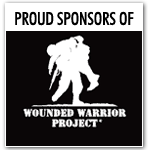 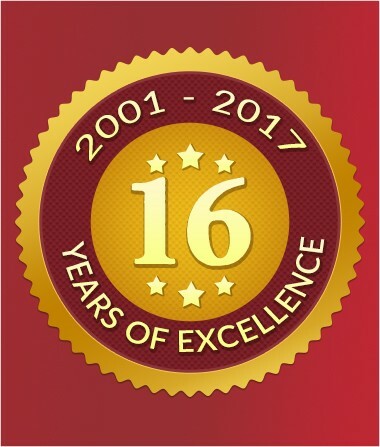 We offer our customers, customer service at its best. 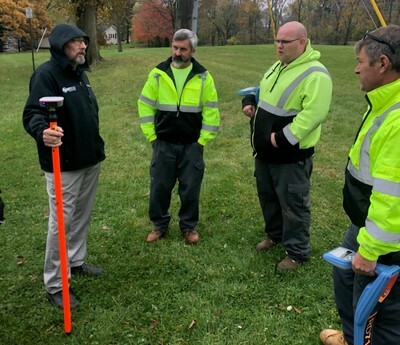 Customer training with the RD7100 and Mini Duct Hunter. 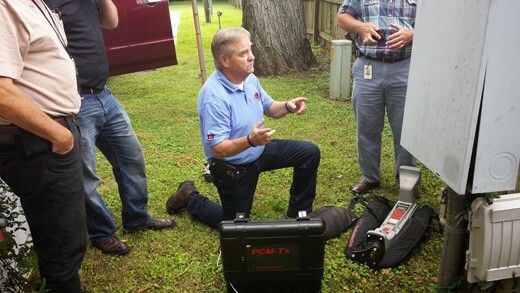 Customer being trained and using the RD7100DL receiver to locate the camera sonde. 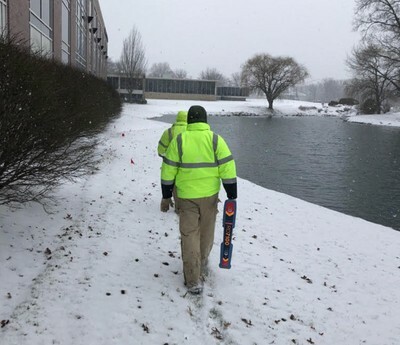 A training session with a customer in Indianapolis. 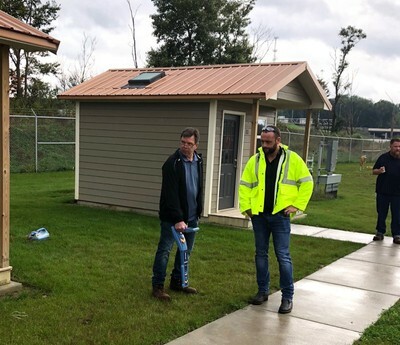 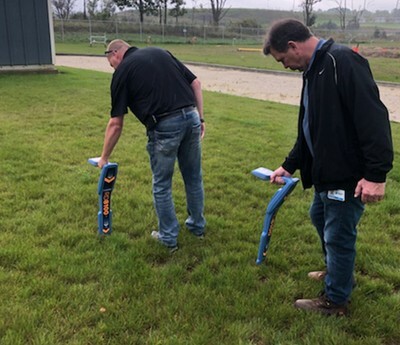 Consumers Energy Training on their new RD8100 in and around a gas distribution station. 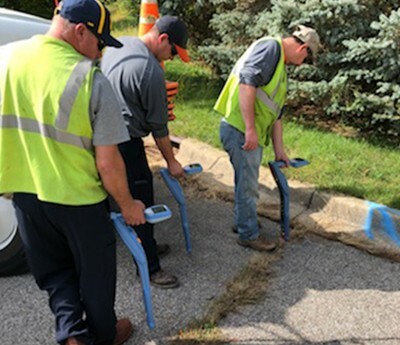 We utilized the Current Direction frequencies in this congested area for optimal locating confidence. 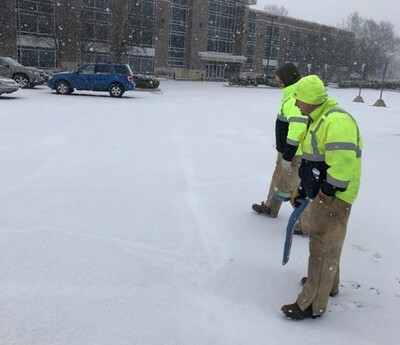 Bertsch-Frank & Associates demo Fort Wayne, IN. 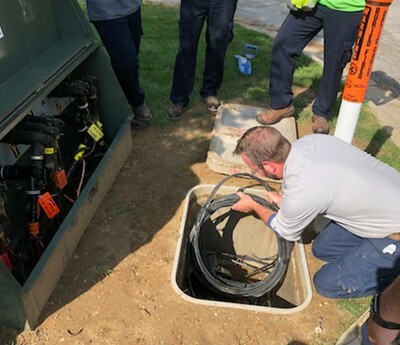 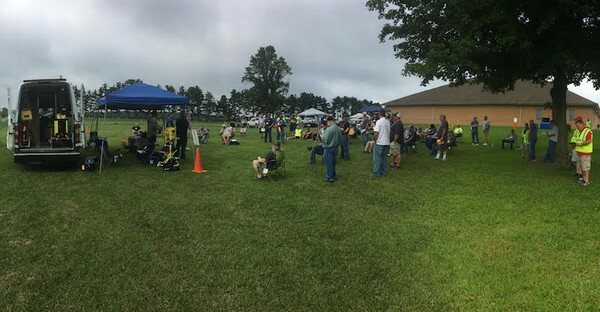 Here they are learning how inducing a signal with either a TX-5 or TX-10 in a parking lot for street lights can work if you have a hard time finding a ground or a good connection point. 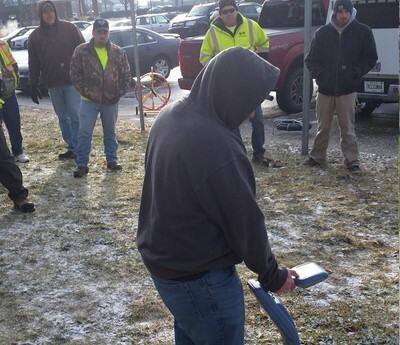 Bertsch-Frank & Associates demo in Fort Wayne, IN. 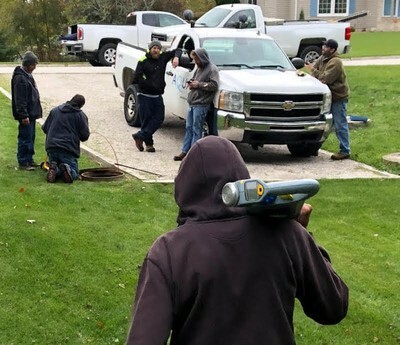 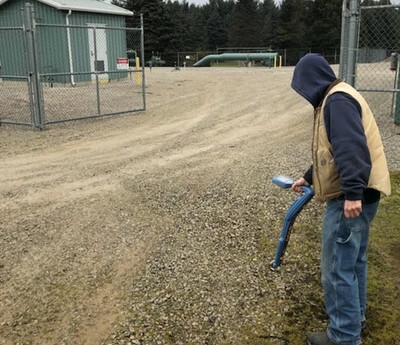 Here they are seeing how you can actively and passively locate energized power cables with the use of an inductive clamp, or by simply utilizing the Power mode on any RD Locator. 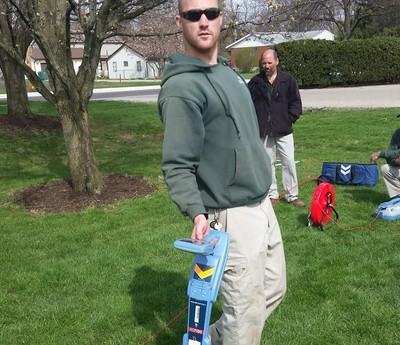 Bertsch-Frank & Associates demo in Fort Wayne, IN. 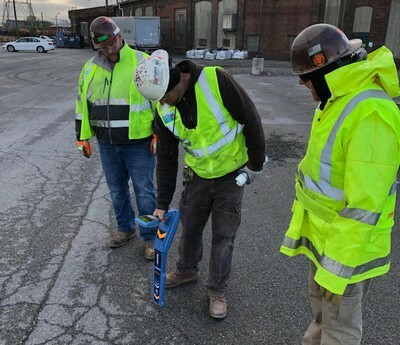 Here they are about to hook up to the Gas Tracer Wire while using a Current Direction frequency on the RD8100 to ensure they are on the target line. 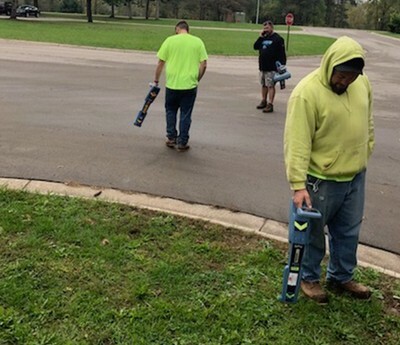 LaPorte, IN Water Dept training on their new RD7100DL. 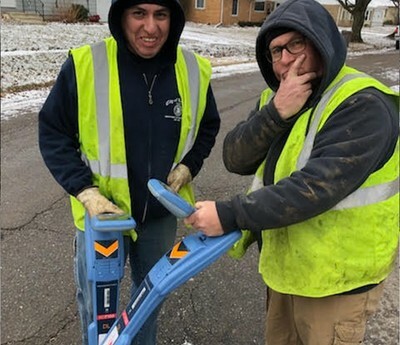 Two excited end users figuring out that the RD7100 is going to make locating their hard to find water mains and service lines a lot easier.